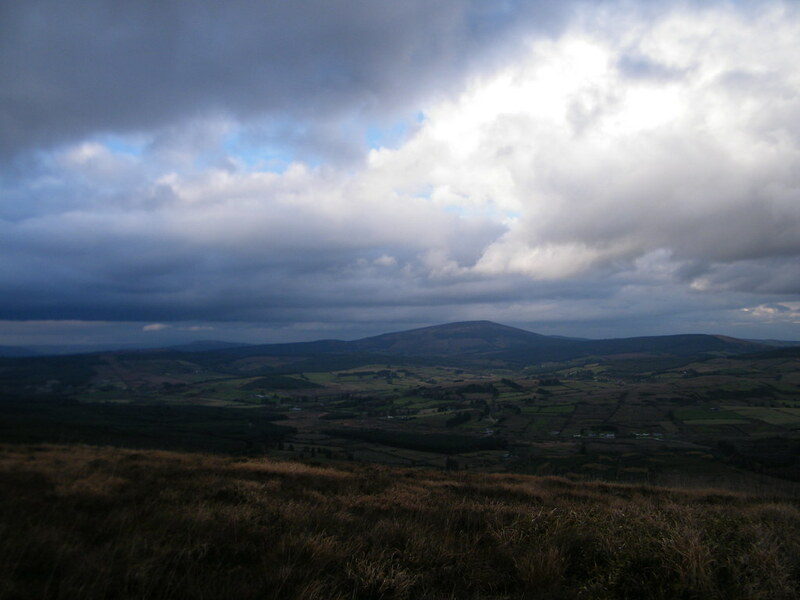 Making the most of the mid-term break, and the Autumn weather, Patrick O’Brien & family climbed three High Points: Moylussa, Tountinna and Cullaun. 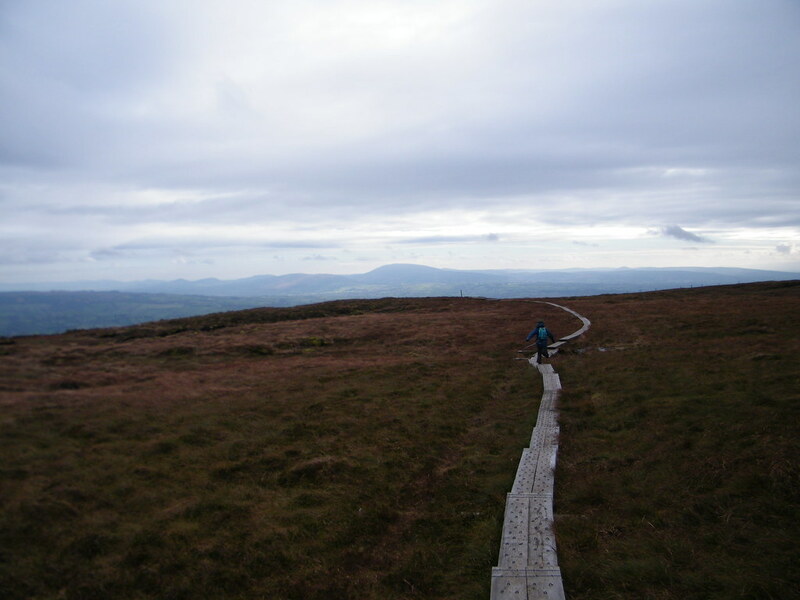 Rachel took a break from the studies today to join us for a trio of High Points in Clare, Limerick and Tipperary. 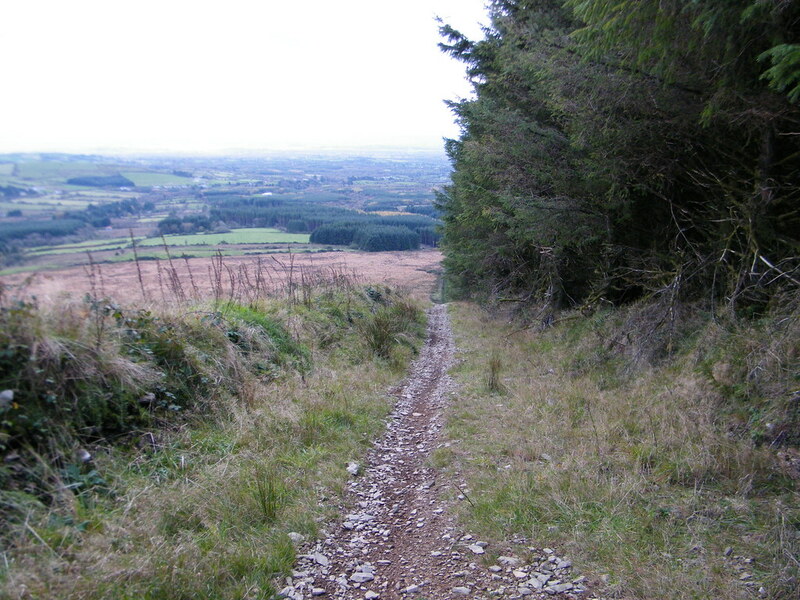 The forest entrance just outside Killaloe was our first stop to climb Moylussa. 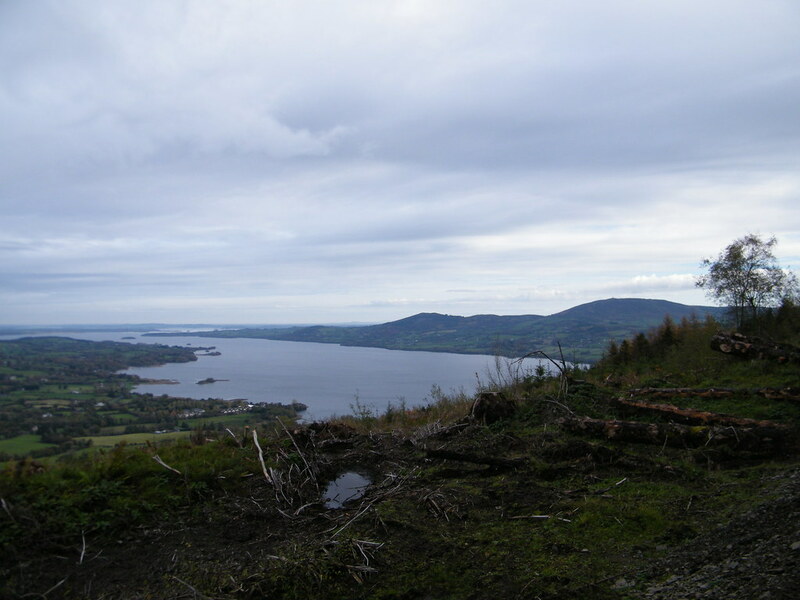 We set off on the beautiful forest path walking on a bed of leaves, a gentle climb to begin with and we were almost immediately spoiled with great views of Lough Derg. This was our 3rd time on Moylussa in as many years so we were quite familiar with the route and knew the short but harsh climb that awaited us just before the High Point. 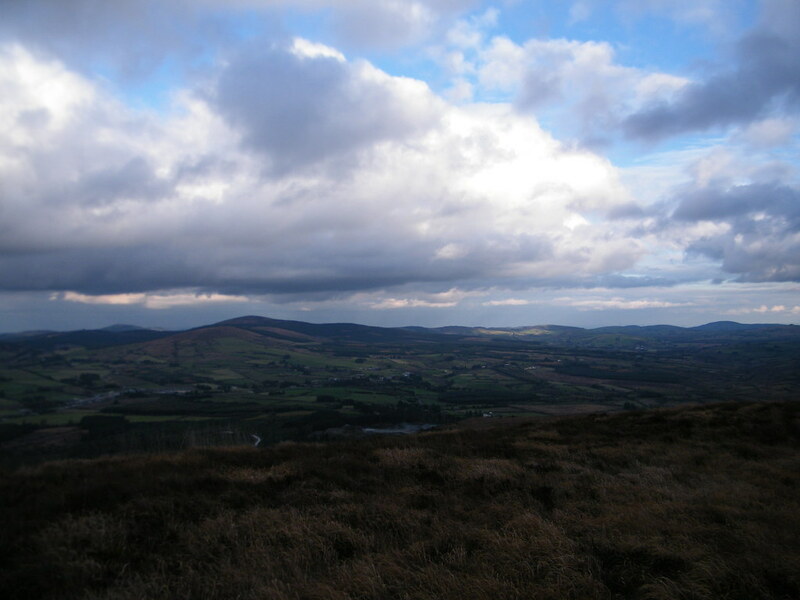 A new experience for this visit was using Peakhunter to log both SE and NW High Points with confidence. Other than that we didn’t hang around at the top because even though it was pleasant Autumn weather on the way up, the top was different with occasional cold drops of rain pounding at us driven by cold wind. We met a few walkers on our way down and enjoyed our lunch before setting off for Tountinna. Dillon and I had both climbed Tountinna in 2017 using the route from “The Graves Of The Leinster Men” but this time we opted for the drive up the mast road instead to allow us more time for the next climb. Tountinna’s summit is unmarked amongst heather not too far from the mast and would be hard to identify without Peakhunter. 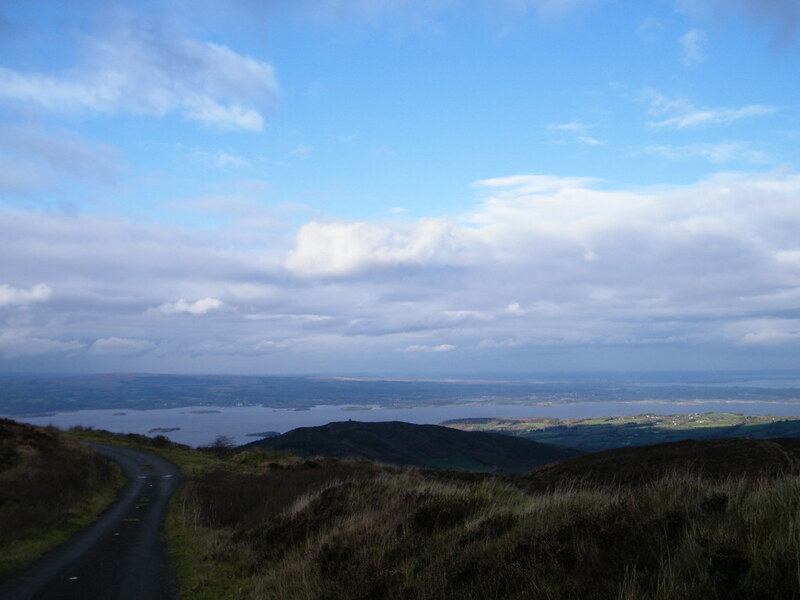 We took a few pictures with great views of Lough Derg again. 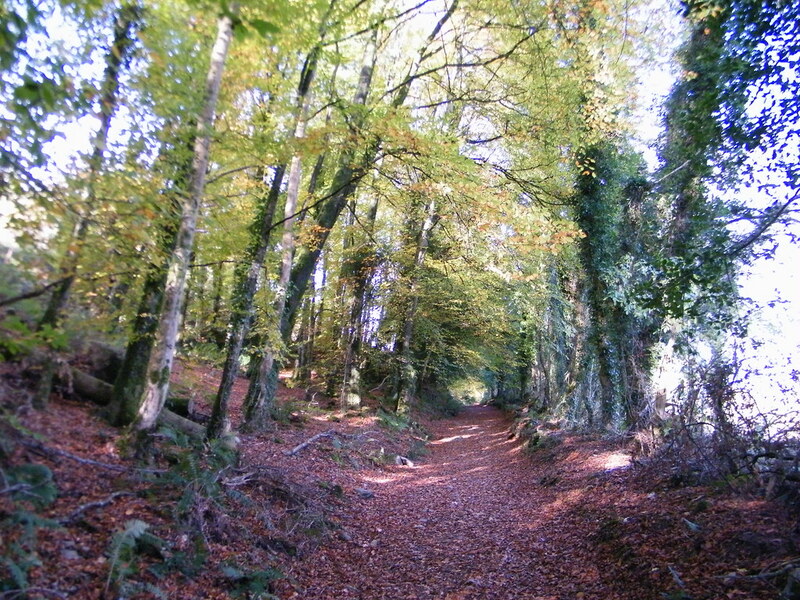 Next we drove to Rear Cross and took the Cappamore Road for a few miles to an entrance on the right with two stone piers. Turning right through the piers we followed the rough but passable road until we met the forest. 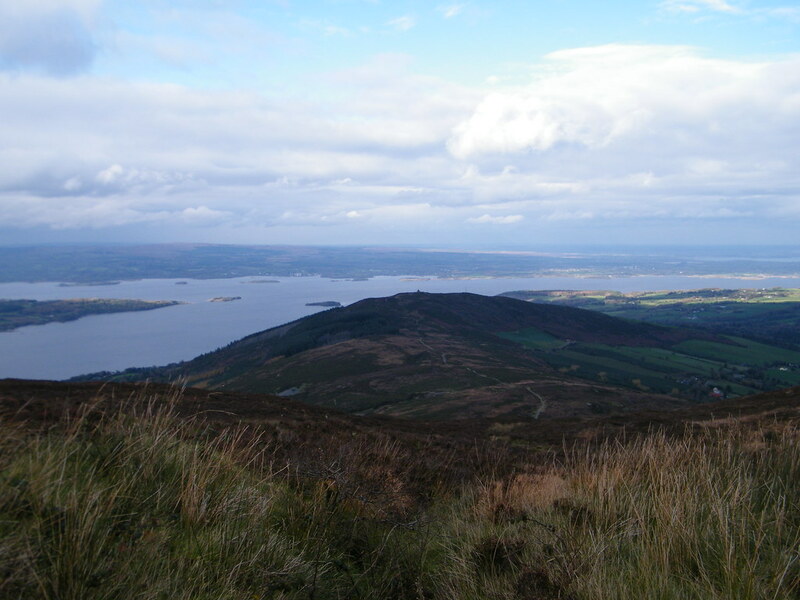 The route to the summit of Cullaun follows the edge of the forest uphill quite steeply on what seemed to be a quad or motorbike racing track until the track turns left for a second time where it is time to enter the heather to go directly to the High Point. Again the High Point isn’t very obvious but once Peakhunter brings you to it you will notice a mound of stones under the grass and heather. Be careful also of a hole that looked like a shallow grave at the High Point. Great views of Keeper Hill and Tountinna looking one way while a busy quarry and a “work in progress” wind farm made views in the other direction a bit busier. We returned to the car via the same route, and stopped in Mitchelstown for food on route home to Kildorrery. A good day of Highpointeering with another 3 High Points logged bringing the count to 8 for the mid-term week so far. More on Dillon’s blog below.